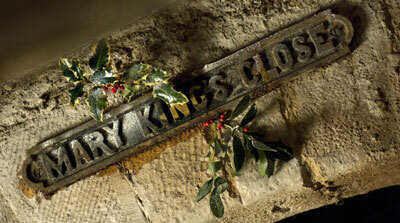 Don’t get bored by endless Christmas TV and unwanted Christmas jumpers – The Real Mary King’s Close is only closed on Christmas Day. Once you have recovered from your festive excesses, it’s then time to celebrate the coming of a New Year with extended opening times at the Close! Opening times are as follows…. As always if you would like to guarantee your place on a tour, pre-booking is recommended, especially over the busy Hogmanay period, so please Book Online. We look forward to welcoming you and wish you all a very Merry Christmas and a Happy New Year! Previous PostPrevious Don’t stress about delivery…give a Mary King’s gift voucher!